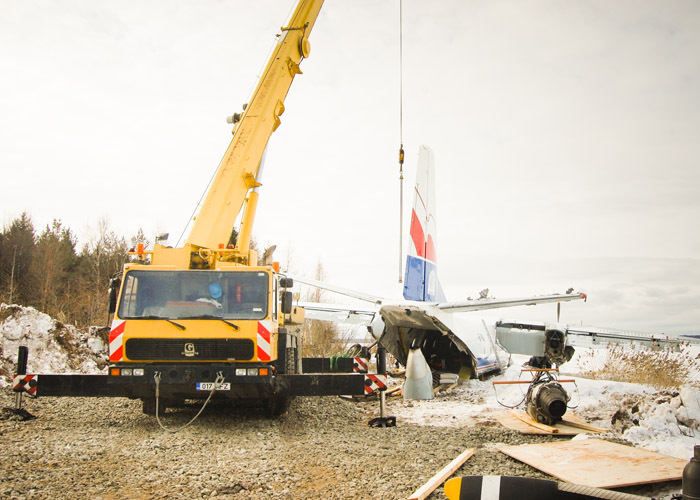 The plane crash-landed near the Tallinn airport. A temporary road had to be built in order to access the plane with transport equipment. 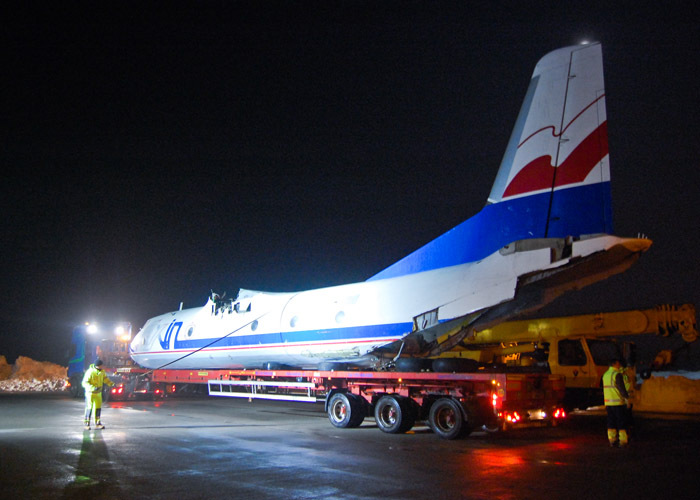 The winds were dismantled and the plane was delivered in two pieces. The overall height of the body section was 11m.